Permian outcrops are very rare in Belgium. They are only known from the Malmédy area and correspond to continental facies. 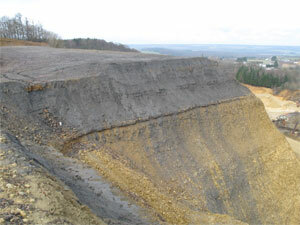 The Triassic and Jurassic formations, outcropping on approximately 800 km2 in Belgian Lorraine, are a north-eastern dependence of the Paris Basin, forming the so-called Gulf of Luxemburg. The nature and the complex geometry of sedimentary bodies indicate a littoral environment characterized by a mixed sedimentation with a siliciclastic predominance. 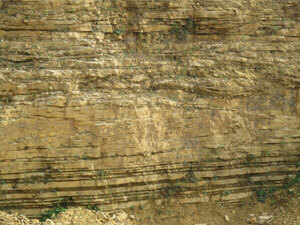 The sequential evolution of deposits was integrated in a globally retrograding sedimentary prism. Subsurface equivalent Permian and Triassic-Jurassic formations were reported from boreholes in the Kempen area.